A small town rocked by tragedy. Two people shattered by a horrific past. 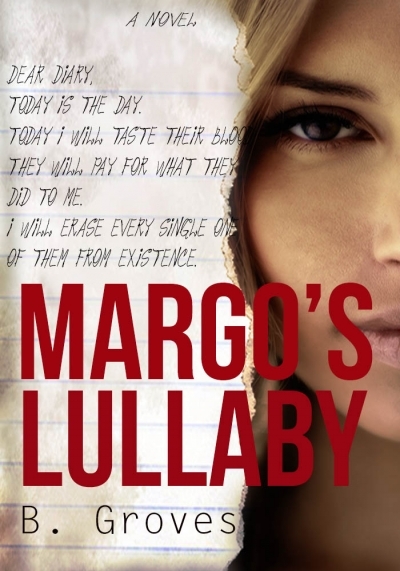 What drove Margo to kill? A sinister secret turns deadly. Female mass shooters are very rare. In fact, they are so rare no significant studies have ever explored a female mass shooter. On March 20, 2005, Margaret Elise Ryan went on a rampage in her school, killing 5 students, and injuring 10 others. Why? There are never easy answers. Her sister, Gabrielle Ryan, witnessed not only her sister's killing spree but ultimate suicide. 10 years later Gabrielle returns to the fictional town of Seven Hills, New Jersey, not only to put Margo to rest but to find the answers after reading Margo's diary.